Easter is a holiday steeped in religious traditions. However it is also a holiday associated with spring, flowers, bunnies and chocolate eggs bringing colorful joy after a long winter. We want to highlight five cities worth visiting at Easter to join in the local traditions and events. Flickr: David Holt. 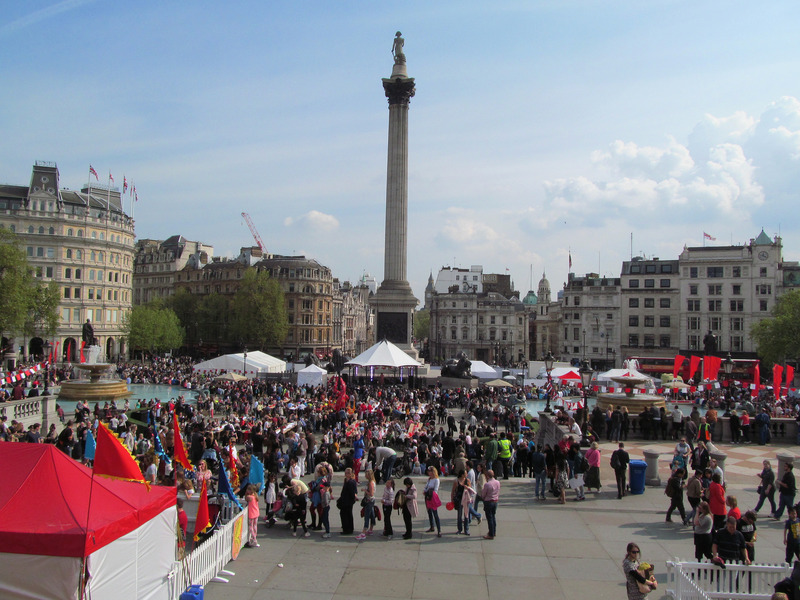 Easter Monday London 2014 Feast of St George Trafalgar Square. London is a breath of fresh spring air at Easter with a host of fun activities for all ages. Take in the tulips at the Royal Botanical Gardens or in one of the many green parks, hit the water on a London Duck Tour or chase after chocolate eggs during one of the city’s Easter egg hunts. The city also hosts The Passion of Jesus at Trafalgar Square and an Easter Light Show at Hampton Court Palace, in addition to the classic sights the capital has to offer. Rome is bustling year-round, however the city is at its busiest leading up to this traditional Christian holiday, celebrated with enthusiasm by pilgrims and secular tourists alike. 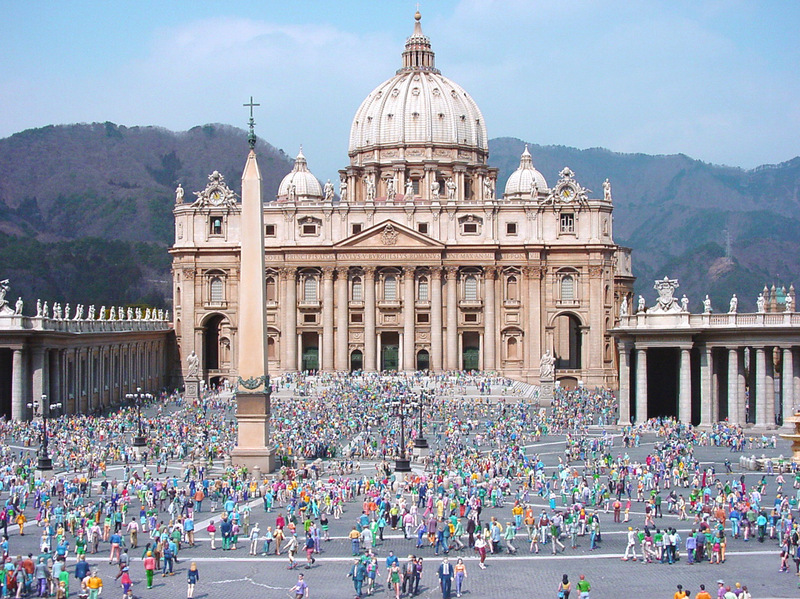 Many churches host concerts in the days before Easter Sunday, when you can attend the Vatican Easter Mass presided by the Pope at St. Peter’s Square. Local shops offer Ester eggs filled with treasures of all kinds and a visit to Rome is not complete without setting your eyes on the Coliseum and Ancient Roman ruins that are awe-inspiring even today. 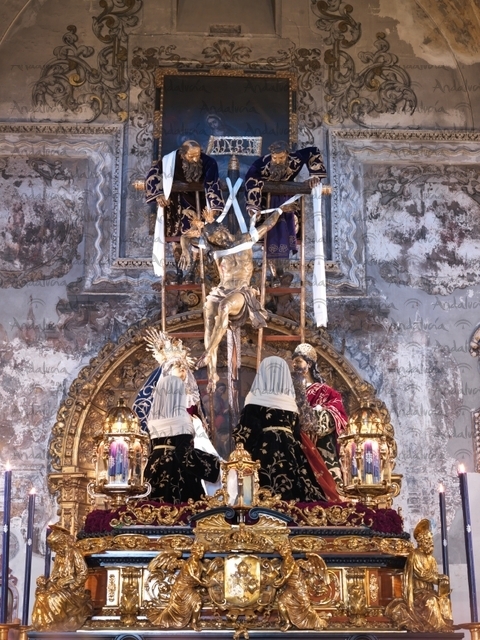 The entire Easter week (Semana Santa) is filled with tribute, remembrance and celebration and lived with absolute passion by the people of Seville. Share in the emotion of the ‘Madrugá’, the most spiritual and impacting tradition celebrated throughout the night of Maundy Thursday to Good Friday. 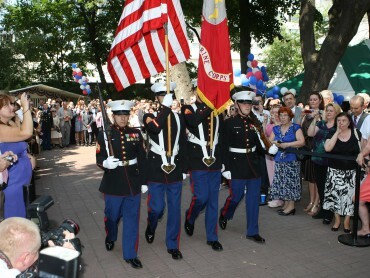 For a year in advance, men train to carry the decorated (and heavy!) floats of religious artwork that parade the city and its neighborhoods, many dressed in the traditional robes with their faces covered, so only God will know who they are. Thousands of spectators line the streets to watch the processions of the brotherhoods, when each brotherhood carries a gilded wood and wax sculpture representing the Christ or the Virgin (pasos). These sculptures are often dated back to the 17th century. Easter is celebrated with great cheer in Germany as it marks the end of a long and cold winter, and Berlin is a city in full bloom. In addition to the spectacular monuments and museums, you can visit the Easter Market on Alexanderplatz (Ostermarkt am Alexanderplatz) to find ornately decorated Easter eggs, flowers, sweets and more, or watch a traditional medieval knight’s joust at the Spandau Citadel with music and a feast to match the era. 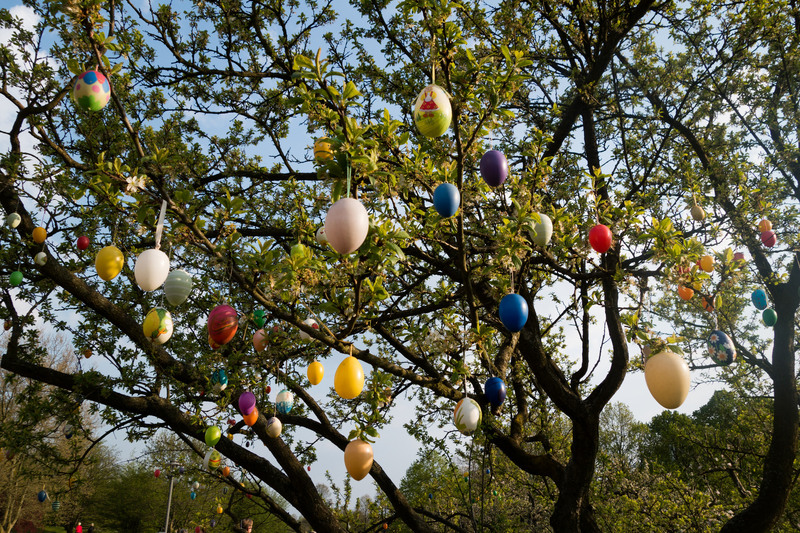 You might even be able to spot an Easter egg tree, covered in decorated and colorful Easter eggs, a German tradition. 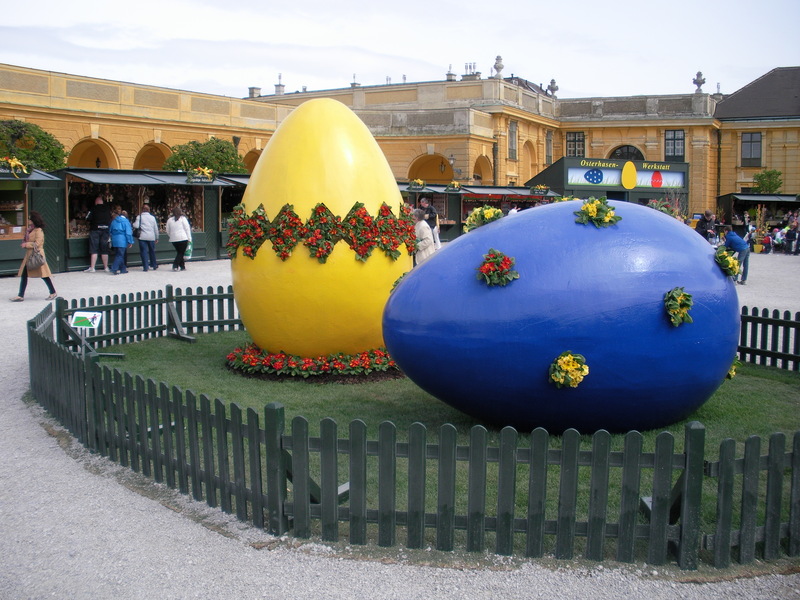 Vienna is another place where Easter brings the celebration of spring, and Easter eggs abound. The city boasts several Easter markets where stands sell carefully decorated eggs and local sweets. The Easter Market at Schönbrunn Palace is said to be the most romantic one, while the Old Viennese Easter Market at Freyung builds a tower of more than 40,000 Easter eggs, said to be the largest in all of Europe. You can attend the Mozart Coronation Mass at the Imperial Palace or the Easter Parade with live music, shows and magic on Easter morning. 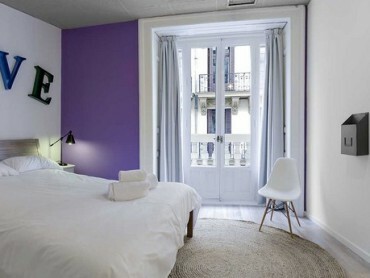 The city is sure to not disappoint with so many activities to enjoy. Whether chasing after eggs, following the processions or mingling at an Easter market, we hope you enjoy the Easter holidays!